Excess use to be employed as a device to allow levies to remain. 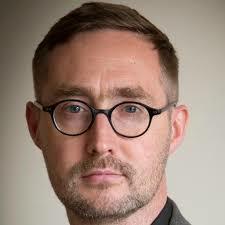 Eoin O’Broin, TD, Sinn Fein. consumers will be allowed relatively little volume without charge so that to meet their needs most householders will have to go on to charged for overuse. In a press release, Sinn Fein states that Fianna Fail has gone from promising water without charge to now plotting for the introduction of levies. Of course, this kind of thing is nothing new to the Soldiers of Destiny. Years back they brought a hail of water charges down on the shoulders of rural dwellers at the very same time that levies for city and town users had been abolished. Later, another Fianna Fail-led government prevailed on Sligo County Council to meter the water supplies of its rural customers – and to charge for the meters! It cost millions. The Council also engaged the services of a French water conglomerate to oversee the metering and billing. More millions. All of the action was targeted against users in rural areas who had put up the money to construct group schemes in their respective areas. And now people are howling for the return of a Fianna Fail government. Does the electorate seriously believe the present lot will be any different from what has gone before them? Sinn Féin spokesperson on water Eoin Ó Broin TD has today accused Fine Gael and Fianna Fáil of cooking up a “backroom deal” on water. The accusation was made in response to a Sunday Business Post report which suggests that a deal has been concluded on the issue of charging for excess use. “Next week the Oireachtas Committee on Water will discuss the contentious issue of charging for so-called excess use and the funding of domestic water services. “While no substantive discussion has taken place on this to date it appears that a back room deal has been cooked up by Fine Gael and Fianna Fáil. “Today’s report in the Sunday Business Post on the work of the committee suggests that an agreement has been reached on the excess charge. 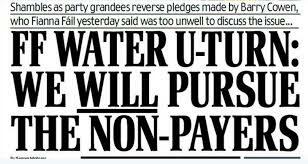 “If this is the case it will represent yet another u-turn on water by Fianna Fáil. 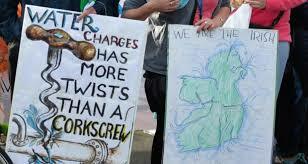 Having promised to scrap water charges they look set to allow the charge to remain. “While they will claim that most people won’t have to pay, an excess charge will be the thin edge of the wedge for the return of charges for all in the future. “Sinn Féin is opposed to the introduction of any water charge. There are better ways to conserve water and fairer ways to fund water services.